Have you ever had a day where you are trying to be crafty but nothing is going right? That was my day today. 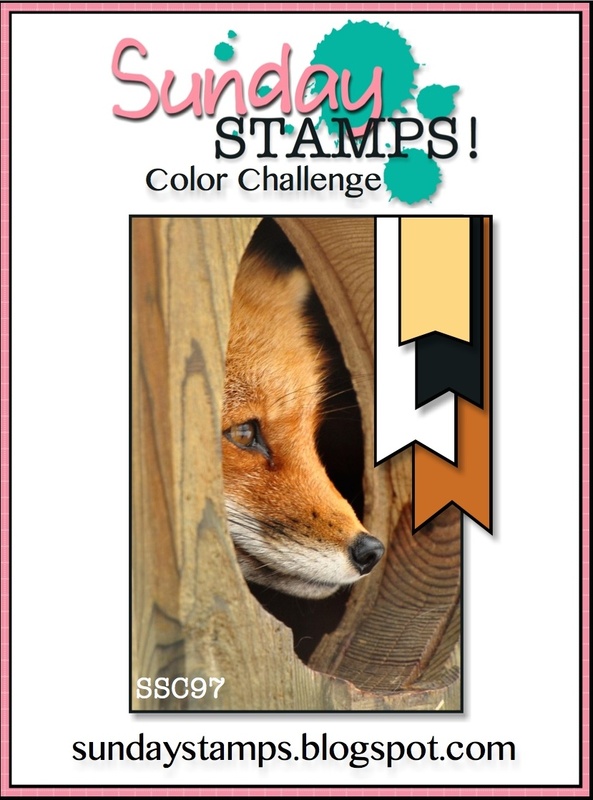 I sat down to play along with the sketch at Freshly Made Sketches and the color challenge at Sunday Stamps and nothing was coming together for me. I finally stepped away from my desk to shower and go make dinner and then when I came back this is what I ended up with. I can guarantee you that after my first few attempts this card is SO much better! I used the Foxy Friend set from SugarPea Designs, I had colored him last week and he's been waiting for a home! 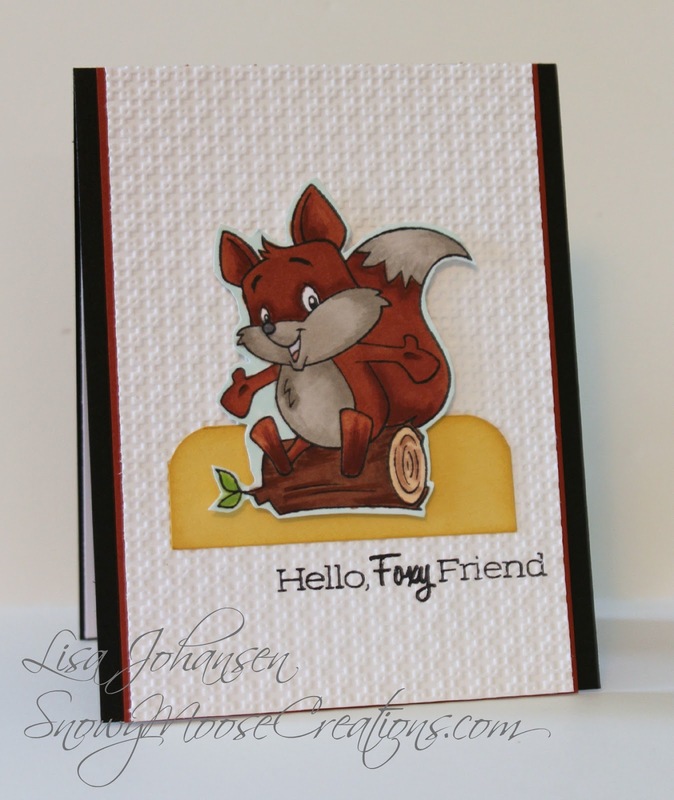 The title at Sunday Stamps is "What Does the Fox Say".....I had given my friend Holly grief because I HATE that song. I told her I wasn't going to play along solely because of the title she used for this weeks challenge but I'm not that mean (although I am still using naughty words in my head for her making me think of that awful song). I deviated from the sketch just a tad by having the fox fill in as the circle shape and instead of a banner I popped the fox up over a piece of So Saffron. I think the sketch is still visible, at least I hope so! Thanks for stopping by and make sure to check out both Freshly Made Sketches and Sunday Stamps, 2 of my favorite challenge blogs! Too cute!! I've been eyeing this set!! Well, walking away worked! This turned out so darn cute! So glad you joined us at Sunday Stamps! A lovely creation. I love this image - it's absolutely adorable! This is such a cute card! Thanks so much for joining us at Freshly Made Sketches. That fox definitely found a home! I love that you saw those side elements on the sketch as ground for him - it's fabulous! 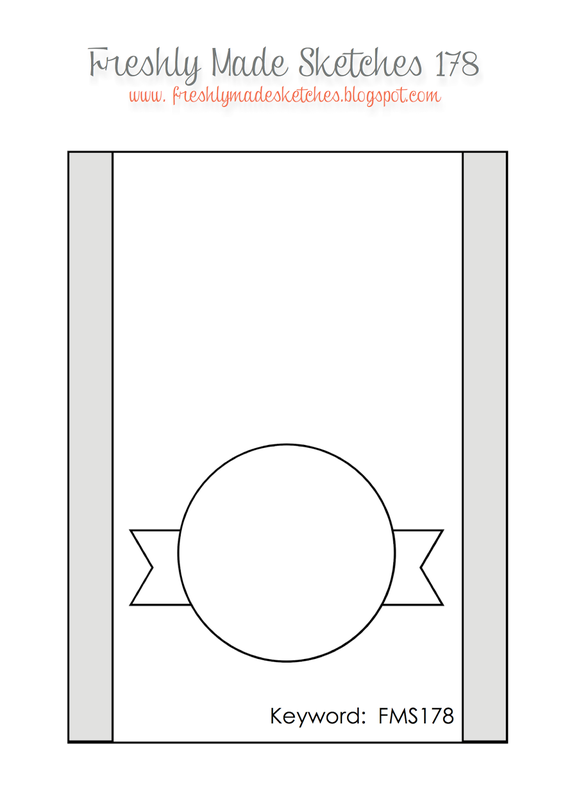 Thank you for playing along with us at Freshly Made Sketches.